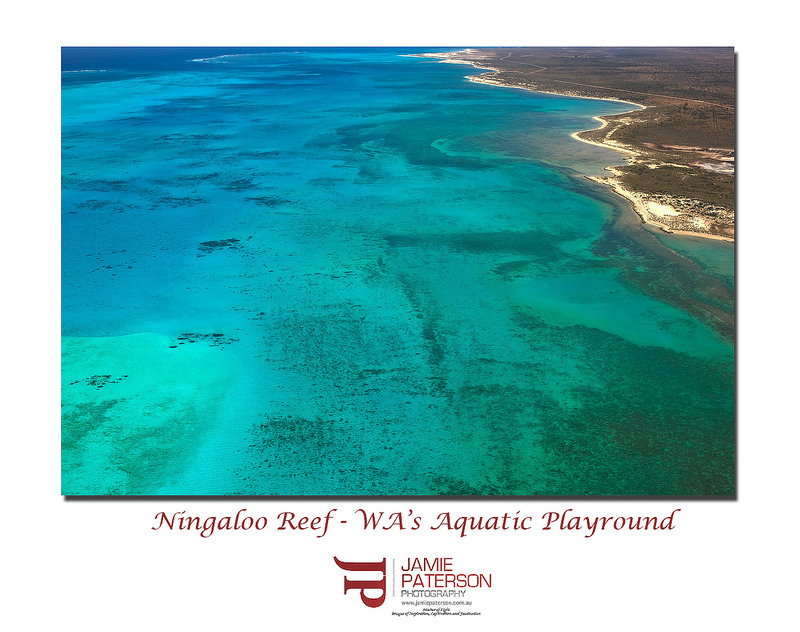 Yes another awesome Ningaloo Reef aerial photograph! This was taken from a Sikorsky S76 helicopter almost directly opposite Exmouth. Christian, Mike, Larry and I had just flown in from the Monte Bellos and we thought we’d seen some great landscape sites out there. However, we were totally blown away with Ningaloo Reef from the air, you get to see just how wide it is and just how far it reaches. I think next time I’m up there I’ll try and wade out to various reef outcrops at low tide to see what I can capture. I’ve been up to Coral Bay heaps of times but I never realised the reef was as big as it is. Anyone up for a trip to Coral Bay and surrounds in the new year? We could get some awesome landscape and seascape photos. This entry was posted in Australian Landscapes, Australian Seascapes and tagged "aerial photography", Australian Landscapes, Australian Seascapes, canon, coral reef, exmouth, Jamie Paterson, landscape, ningaloo reef, western australia. are you aloud to snorkle there? it would be amazing ! Yes you can snorkel there for sure. In fact when I’m up there I just grab a mask and some fins and walk down the beach and just jump into the water when I see something that fancies me. I’ve spent the whole day doing that before. You can snorkel with whale sharks there. Yes I’d love to snorkel with the whale sharks one day. I always seem to head up there just before they get there or just after they leave! Welcome to the blog and thanks for commenting. Hey Jamie, I would be up for a trip up north to Coral Bay. Thanks for the comment. Sounds good. Stay tuned! I’ll come if you provide a chopper mate. Maybe Larry will shout the chopper? Wonderful photo! Ningaloo Reef is one of my favorite diving spots!